As the global sulphur cap imposed by IMO becomes effective January 1, 2020, LNG as a marine fuel has been increasingly drawing close attention to international stakeholders. In our neighborhood, Ministry of Oceans and Fisheries Republic of Korea hosted the first “International LNG Fueled Ship & Bunkering Conference” in Busan on 15th to 16th November, 2018. Sponsored by numbers of Korean academies and associations related to the industry, invited speakers from oversea such as Shell, MPA and YKIP, together with the key persons who are promoting LNG bunkering in Korea such as KOGAS, HHI and H-Line (who has ordered two LNG fueled 180k capsize bulk carries to HHI) stepped on the stage and shared their experiences and visions of LNG Bunkering. 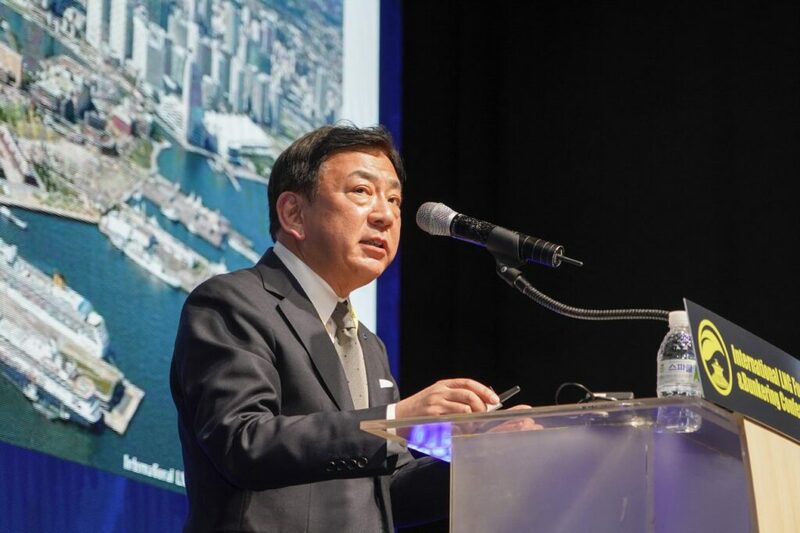 Masamichi Morooka, the President & CEO of YKIP, presented the LNG bunkering development at Port of Yokohama on 15th Nov, 2018.